Amy Eller is a native of Erie, Pennsylvania. After college she moved to Atlanta, GA to study acting at The Company Acting Studio. After teaching and studying acting for 5 years she moved to New York City. 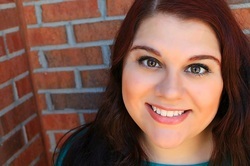 Amy went on to study and perform improv at the Upright Citizens Brigade and sketch comedy at the Magnet Theatre. In 2013 Amy decided to write, star and direct "My Craigslist Roommate" for which she earned her SAG Eligibility. Amy recently finished writing season two of "MCR".